If you need help diagnosing your dryer problems, this guide will prove to be very valuable to you. There are many problems that can occur to any dryer. Most problems are caused by simple wear and tear from prolonged use. There are other problems, however, that can occur due to other factors. Sure, you could hang your clothes out to dry. It’ll take longer even on very bright and sunny days. What if it’s raining? Clothes certainly won’t dry out in the rain. Before you call a pro for dryer repair, check these areas. Have you been dealing with a flooded washing machine issue? It can be extremely frustrating, and moreover damaging to your home. Water damage may not seem like it, especially at first, but it can be very damaging. There are a few ways to determine the cause of a flooded washing machine. 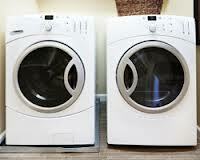 Read on to find out the best methods for troubleshooting a flooded washing machine. Why Is My Freezer Not Getting Cold? 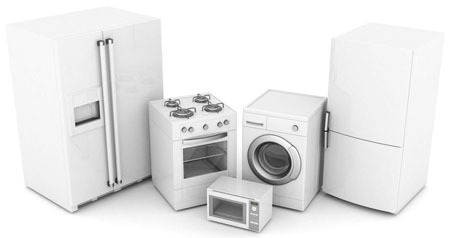 Why Choose a Pro For Home Appliances Service? Many people ask, “Why choose a pro for home appliances service?” While there are many reasons why; a few, in particular, stand out. We’ll go over these more important reasons one by one, discussing the pros and cons of hiring a pro versus doing it yourself. At a first glance, one would think that refrigerators do a very simple job. They cool the food we put in the appliance. Who will ever stop to think how the fridge manages to keep everything cool! We just adjust the temperatures, especially if the fridge is stuffed and have peace of mind that everything will be fresh for consumption. But things are more complicated than that and that’s why fridge service is a must. We are always given clear instructions when we buy new washers & dryers in order to use the appliances right and don’t abuse them. But when the first enthusiasm fades away, we start overloading them and try to find cheap detergents to keep the family budget down. And then minor problems start popping but we hardly notice or bother thinking that some wear and tear is normal. Until one day the washing machine starts leaking and the dryer won’t work anymore. Does it really have to come to that? It’s not always easy to tell whether an appliance problem can be easily fixed or not. Chances are you will need the assistance of a professional appliance technician. But before you do that, check if this is an easy fix that you can do it yourself in no time. Just remember that home appliances are not always safe, especially if they malfunction. Always unplug them and make sure your hands are dry.